The world is suffering from overpopulation but some Norwegian scientists have found a solution – shrinking people to five inches tall. When Paul (Matt Damon) and his wife Audrey (Kristen Wiig) decide to change their lives and become small, things don’t go the way they expect. Downsizing has a solid first act. The concept of shrinking people down so they don’t use as much resources or produce as much waste is fascinating and it was really cool to see how the process worked and what it meant for society – both for those who became small (an irreversible process) and those who stayed normal size. Seeing small people (and things), in a normal sized persons world is weird but enjoyable because it’s so unusual. The premise is an interesting one, with what it tries to say about the environment, poverty, and society as a whole but unfortunately it seems to try and say too many things so it ends up saying nothing of real substance. 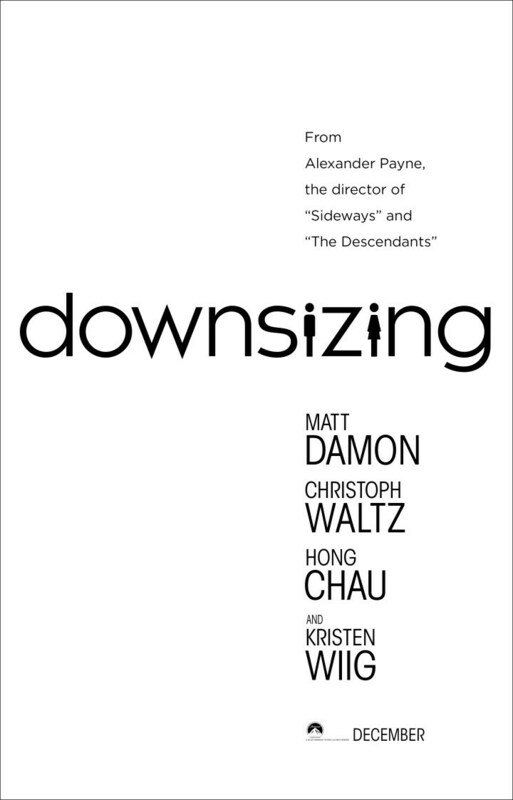 This is the unfortunate thing about Downsizing, the premise and the set up is great but it never really lives up to that. After the first act, the film, much like Paul himself, meanders along, and things just happen to Paul without him really being that proactive. The film doesn’t go where you think it might but if anything, that makes it worse as it seems almost aimless, and you feel the just over two hours running time. Damon is fine in his role but Christoph Waltz as Paul’s neighbour Dusan is the most fun and engaging character. He lives life to the full and has some of the funniest lines. With the character of Ngoc Lan Tran (Hong Chau) a Vietnamese revolutionary, it seemed the film wanted you to laugh at her. She often seemed like a racist caricature and again the film didn’t really seem to know what to do with her. Downsizing is supposed to be a comedy, and at times it is. Other times though it feels like the concept was stretched out to more than it could be, losing humour and any real character development on the way. 2/5.